JazzyVille: Tutankhamun Expo..... and an Award. Today we finally managed to get one activity ticked off my Dublin Summer Bucket List.... This is a list I make every year and never complete... This year will be different, I am determined! 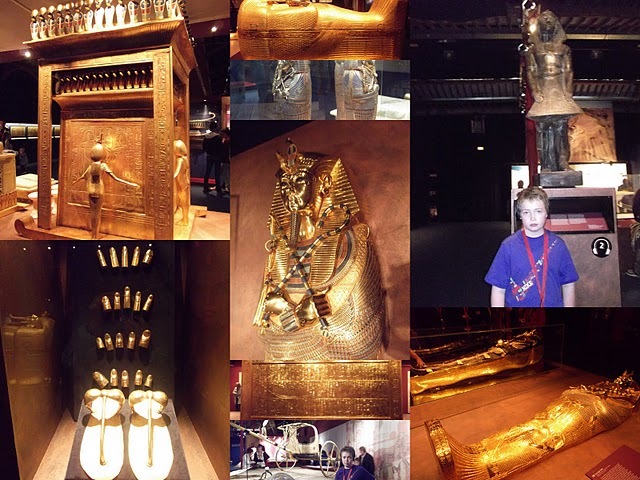 Today we went to the Tutankhamun Exhibition in the RDS and were very impressed with what we saw and heard, with the assistance of cool Audio/Visuals. I never knew Tutankhamun was only 8 years old when he came to the throne and that he died when he was only 18. Nor did I know that he married his 16 year old sister or half sister in a desperate attempt to keep the empire going ....they were the last remaining family members. 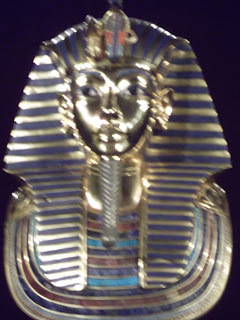 King Tut was quite the man, for a child, it seems. It was strangely disquieting to hear the commentators describe the artwork of the time depicting the scenes being portrayed as endearing domestic scenes. They also found two mummified bodies of small girls who they assume to be his daughters. Who knows how Egyptian history may have unfolded had they survived? 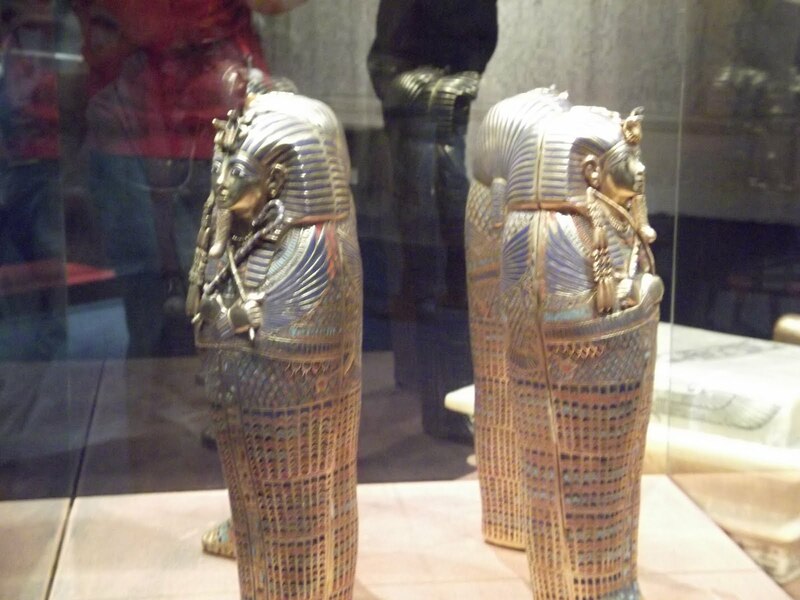 Enough of the serious stuff, now to more important discoveries.... did you know that before mummification they extract the entrails from the body via a cut from navel to the left thigh? That they scoop out the brain and fill the brain with resin? And that they they store the organs removed in small mummy caskets? See the four Doll-like caskets below which were found with the tomb! We were really impressed by these discoveries! It's a boy thing! However, we were suitably unimpressed that having spent €25 of his hard earned cash on a treasured trove (3 items!) of goodies, that he broke his most precious one on his immediate return home! What? You heard the screams of anguish from your country? That does not surprise me in the least! We are however, very grateful that Mr Jazzy works nearby and can call in to buy a replacement... phew! Unfortunately this upset led to a much disputed and extended xbox play.... and more subsequent upset. I really have to nip these xboxwars in the bud else this forthcoming summer break AND Dublin Summer Bucket List will be very long ones indeed! 2. Refer to the lovely blogger who awarded it. 3. Pass it on to 5 others. I enjoy blogging and do it primarily for personal reasons: it's an outlet, an opportunity to meet many different people across the world with varied interests, it's therapeutic and will be a record to look back upon for years to come. It can be a very fickle world though. There are those who are voyeurs and read regularly without commenting and those who neither return visits or comments you made over on their blogs. That can be very discouraging for us bloggers but I try to remember why it is that I blog and harmony is restored. Recently I have discovered a few new readers of my blog who come back and comment every time I post. Mum in Meltdown is one such blogger and that's why I particularly appreciate this award. I really enjoy reading her blog with her very entertaining take on parenting....so go check her out! 1) Mum OF All Trades: A busy mum who shares her fabulous crafts and entertaining tales. 2) Four Star Seas: Another busy mum with her entertaining and informative posts... a really enjoyable read. 3) Midlife Singlemum: An interesting blogger-mum from her intersting corner of the world... Jerusalem! 4 Floortime Lite Mama: She who works so hard for her child and shares it with us all. 5) Both Sides of the Coin: Another lovely and intersting blogger. 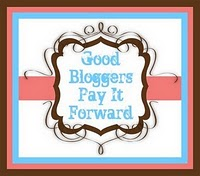 Thank you ladies, your taking the time to visit and comment is very much appreciated :-) Now, off you go and Pay Forward some Good Blogger happiness of your own! I love the Tutenkhamun thing, similar was done at the o2 last year and it was fab! Oh I have been dying to see that exhibition. I will definitely go now. thanks for that!! I always look forward to having a read at yours so glad the feelings' mutual. @Claire: yes, go for it! Six weeks left! @Looking for Blue Sky: Did AspieBoy like it? Bet he did! I've decided on a proper Bucket List this year... one that I will put up here so I'll have to adhere ;-)Maybe one or two of our choices will match and we can do together! Thanks! Meeting so many people from all over the place has been one of the best (and most surprising) parts of blogging for me too. Thank you - I'll get to it tonight. I'm looking forward to this one... And here's an interesting fact I heard about mummificatin and embalming: Years ago it was very long process. Nowadays, because of all the salt and chemicals we eat, we are apparently half pickled already by the time we die. So that's something to think about next time you open a packet of Golden Wonder. Sorry I'm late--I just now got internet working so I can comment! You are such a sweetie!! Thank you so much! Do you mind if I continue this when I get back to a more stable computer system at home?